1) Drizzle some oil over the halved rolls. 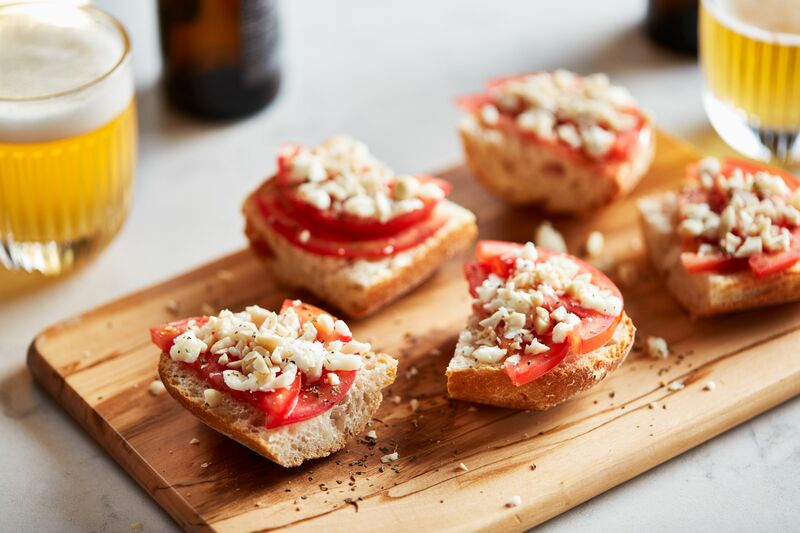 2) Place slices of tomato and goat’s cheese on top. 3) Separately, combine the peanuts, oregano, salt and pepper in some oil and pour over the bruschette.